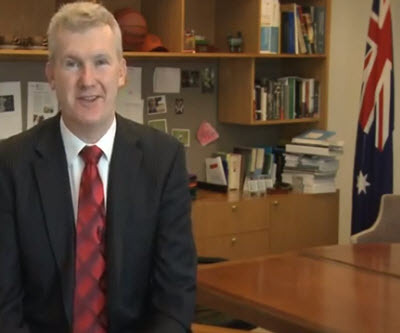 An Australian environmental group is suing former federal environment minister Tony Burke over his approval of Whitehaven Coal's (ASX:WHC) Maules Creek coal mine in New South Wales. The group, Northern Inland Council for the Environment, filed the case with Australia's federal court on Thursday, citing "errors of law" in Burke's granting of approval. Environmental concerns center around the mine's impact on the Leard State Forest where thousands of hectares will be cleared. "The forest is mature, dominated by big old trees full of hollows and there's a lot of threatened species that occur," a council spokesman told ABC News. In early July the company announced that it had received all required permits; Burke's go-ahead was granted in February. The litigation will not address whether the minister should have approved the project, but rather whether he committed a legal error throughout the process, Whitehaven said in statement issued early Friday morning. The coal miner says it will proceed with production as planned, relying on the existing approvals. The legal attempt to block construction of the $767 million project comes after protest by traditional owners stalled construction last week, with demonstrators forming picket lines and workers walking off the job.